And I still believe the guys from the ROP (Samek) will come with the NM kits, as they told me a year ago. What scale and would they be in full hulls? I have Profile Morskie's books on the New Mexico, Mississippi and Idaho. 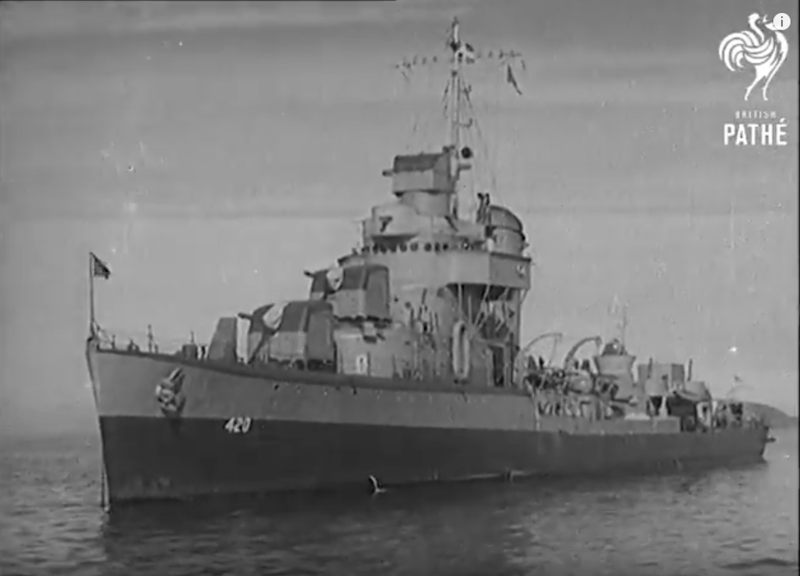 Out of curiosity, was there any difference for the New Mexico in 1945 compared to her refit in 1944 besides the ms21 paint job? Thanks to ModelMonkey and Gabriel, we now have copies of New Mexico's October 1944 Booklet of General Plans for New Mexico online! According to ROP/Samek representatives, they're working on it. If Samek releases one or more NM kits, I will design at least one superstructure for them. Steve; any chance you'll design some of the turrets for the 1/700 Samek WWI series dreadnoughts USS South Carolina etc like you did for the WWI USS New York/Texas? Free Time Hobbies has abandoned the YMW and Midship lines of kits and have thrown away most of the patterns and molds. I have a few sets of molds and patterns for some kits that were under consideration for revisions and re-release as BRM kits. Unfortunately, there are no files for the etch and the previous supplier priced themselves out of consideration for them. In addition, the molds for the metal parts are also dead and cannot be replaced, although most of those components would have probably been replace with items from the BRM 3D line, or cast in resin. With so many missing components, though, those plans have also been cancelled. With the announcement of the Samek kits and the Model Monkey upgrades, the Midship kits can be considered to be history now. I'm sure the Samek kits will be worth the wait. I hope Samek will offer the kit in WWI configuration. 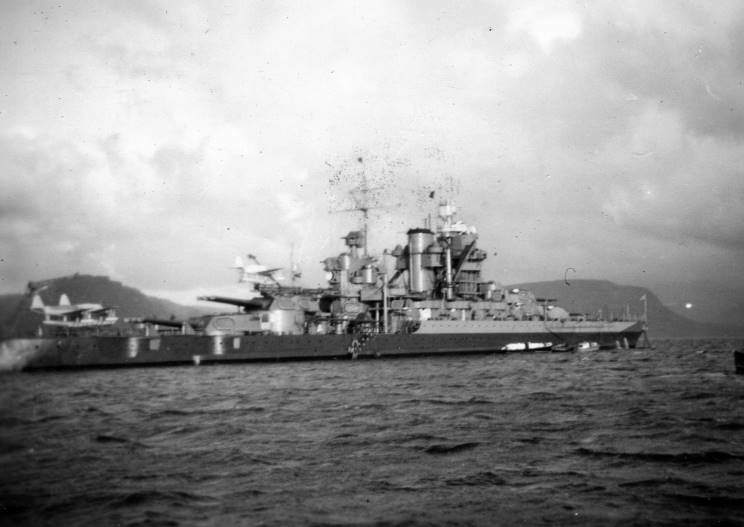 Here are a couple of pics of USS New Mexico while she was in Iceland in Sept. '41. These are the first two photos I have ever been able to find, after years of looking, of New Mexico in 1941. She is wearing a "version" of MS-12 camouflage. Adm. King ordered the Atlantic Fleet into MS-12 in July 1941. Thanks for posting these. I've only ever seen pics of Idaho in Iceland for neutrality patrol. Good find! 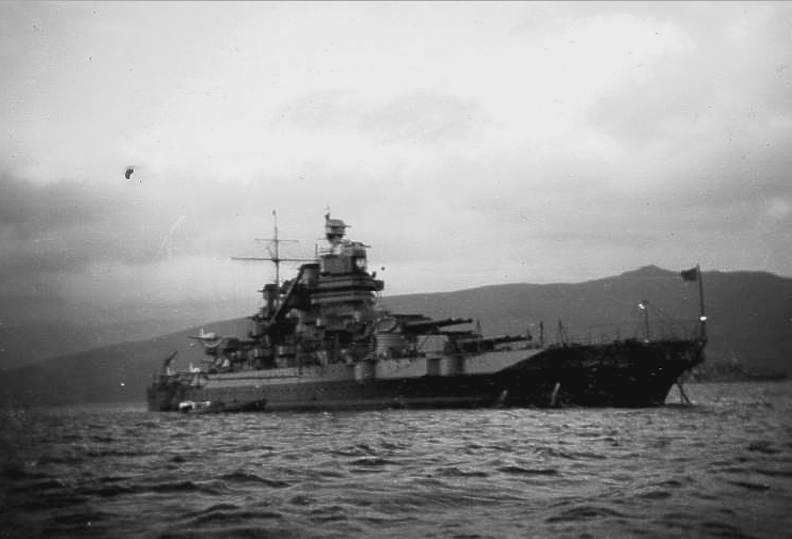 The Imperial War Museum collection of online photographs has eight images of New Mexico in Iceland. 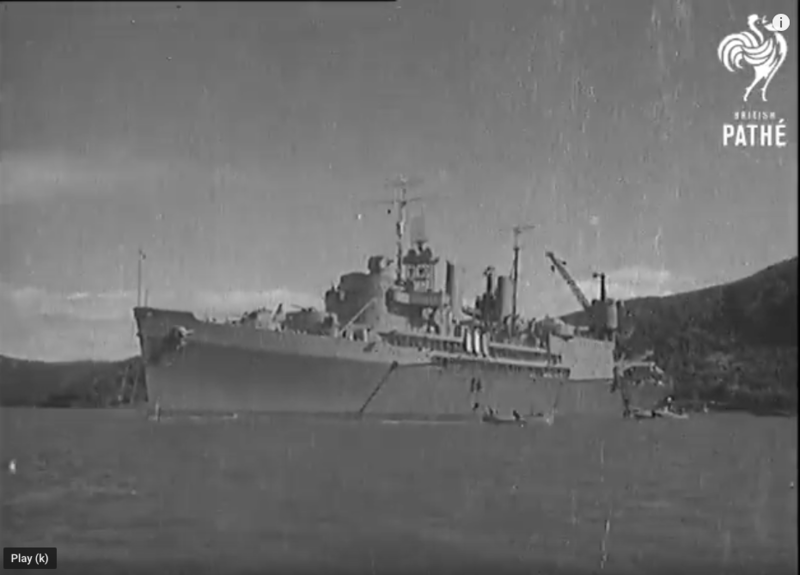 Interestingly, they date them to October and November 1941 (because they were taken by photographers on specific RN ships) - and one of them is identical to one of the two images Mr. Sharp posted as dating to September. Who knows? Every single one of those pics are of either Mississippi or Idaho, not New Mexico and have been posted here for quite awhile. For the one you claim is the same pic, look again! It is similar but NOT the same pic. Btw, why do you consider her camo as a "version" of the Measure 12? Because not only all above the top of the superstructure mass was painted in 5-H as specifed in the SHIPS-2, but the highest part of the superstructure itself as well? I find interesting that Mississippi was painted the same way but Idaho was not. Missing the 5-H altogether. Last edited by Daytona675R on Sat Mar 02, 2019 12:33 pm, edited 1 time in total. Couple of reasons I say “version”. First, she is different than Idaho who appears not to have painted her slender upperworks a lighter color (5H or 5L). Second, she darkened her turret face plates and 14” gun barrels whereas neither Mississippi nor Idaho did. If you look at the photos of her at Norfolk Navy Yard getting painted into MS-12 modified in Jan.’42 you can see she still has those dark faceplates and barrels. Lastly, there is some discussion as to what colors she is wearing in the Sept. ‘41 photo. 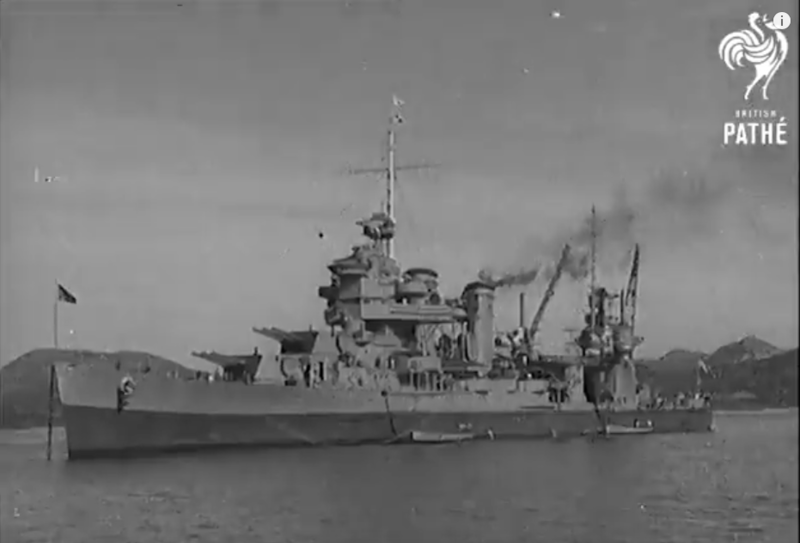 When King ordered the fleet into MS-12 on July 19, 1941 Sea Blue 5-S and Haze Gray 5-H were not quite available yet to the fleet so there is speculation that MS-12 was carried out on some ships using the available colors already on hand namely Dark Gray 5D and Light Gray 5-L. I wish I knew the exact date she painted into MS-12 and when 5-S/5-H we’re available. That would help answer some questions. The fleet’s transition into MS-12 appears to be a very quick one. 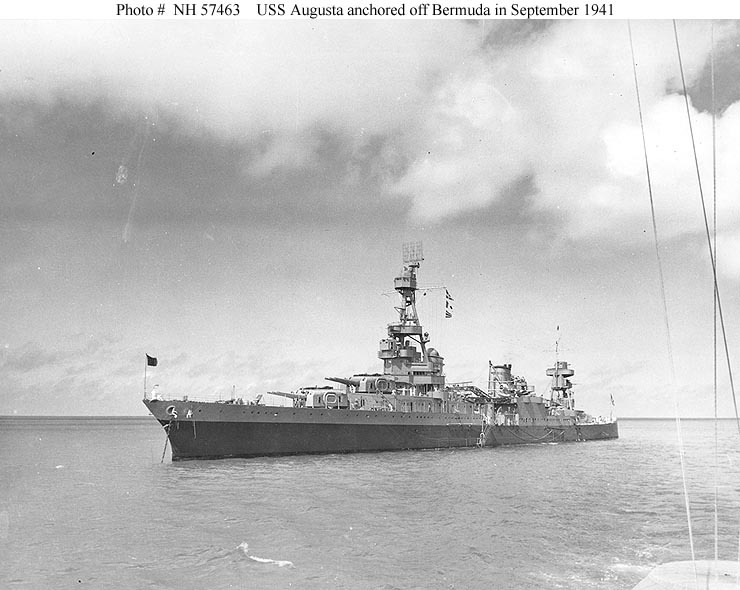 Photos of the US ships at the Atlantic Charter on Aug. 14, 1941 show them all to be in MS-12. Good point with the dark turret faces. Never noticed this. The 5-S/5-D question due to the limited availability of appropriate paints never came to my mind as well, however, it sounds pretty logical. But the slender upperworks being painted in 5-H (or maybe 5-L as a temporary solution) are in line with the Measure 12 as defined in SHIPS-2 (Rev. 1; 9/41), aren't they? In this case the Idaho is the one, who is not following the regulations. It appears the interpretation of "Pole masts, yards, slender upper works above level of top superstructure masses, Haze Gray 5-H" varied from ship to ship. New Mexico and Mississippi seem to be the exception where they painted more than the pole masts. Most other ships only painted the pole masts with 5-H (5-L). Here are a few of them in September 1941 and if I had to guess, only Albemarle has 5-S on her hull.